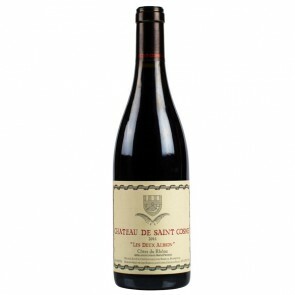 A blend of 50% to 60% Grenache and the balance Syrah, the 2015 Cotes du Rhone les Deux Albions is, in the words of proprietor Louis Barruol, “A great success.” I'd have to agree. Scents of fresh blueberries are immediately appealing, while the plump, medium to full-bodied palate ends in a light flurry of tannins. Give it another year in the cellar and drink it over the next 7-8 years. Drink: 2018-2024.